This comparison site was created to easily compare the top-3 whole house water softeners on the market today. Information gathered on this site is publicly available on each respective company's website. 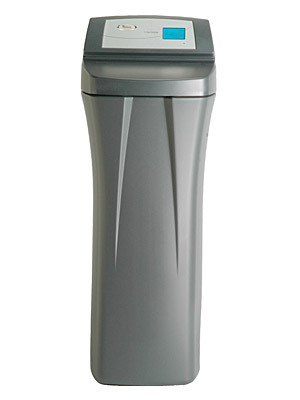 What must you consider with purchasing a water softener? Exploring various types and brands and comparing prices is a general rule of thumb. You also need to consider what type of environment the water softener will be set up in, installation requirement, the size, durability of the unit, convenience, as well as the softener rating. This site is provided to give you some understanding on the different types of softeners, how they work, the benefits, and the disadvantages. Although hard water is beneficial to humans, plants and animals it creates problems with build up of calcium and magnesium in plumbing pipes and appliances as well as hot water heaters which cost Americans hundreds of millions of dollars each year. The negative effect of calcium sticking to our hair and skin has created a windfall for hair and skin products designed to counter act these effects. 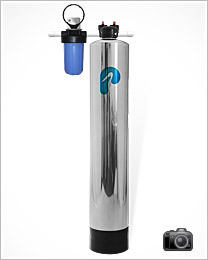 The Primary purpose of a water softener is to counter act the negative effects of hard water. Salt Free water softeners are recommended for residential and commercial applications at or below 75 grains of hardness. It is also recommended for health conscious people, people with high blood pressure, people on a low or no sodium diet, or people who prefer chemical free water softening. Salt based water softeners are recommended for those who prefer the calcium and magnesium to be removed from the water using salt or potassium. Electronic water softening is recommended for apartments or single family homes where space does not allow for a whole house water softener to be installed. The NaturSoft media has calcium carbonate crystal structures on itssurface that will attract excess dissolved hardness and remove it from solution by integrating it into the crystal structures on the media. This results in the crystals on the media surface to grow larger. The movement of water and friction among the individual media granules rubbing against each other will cause fragments of these newly grown crystal structures to be fragmented off the media and released into the passing water. Those free flowing calcium carbonate crystals then continue to travel through a plumbing system as suspended particles where they perform the same role as the media in the NaturSoft system itself, i.e. acting as seed crystals further buffering the effects of any changes in the scale potential of the water downstream by absorbing excess mineral into their structure and themselves spawning the creation of additional micro crystals. The system requires no monthly maintenance or additional monthly costs. It softens the water without the use of salt or potassium, therefore there is no need for an expensive reverse osmosis system for drinking water. The salt free softener leaves in all the essential minerals for the drinking water requiring no chemicals, electricity, or back flushing to operate. There is no wasted water or drains to install. It allows for up to 50% less soaps or detergents to be used, saving money and completely removes and prevents 100% of the scale from forming in all pipes and heat exchangers (hot water heater). The system does not fall under any softener ban because it does not discharge salt or potassium back into the ground water. It is 100% environmentally friendly. Longer life of appliances including washing machines, dishwashers, and water heaters; less use of household cleaning products, such as detergents, as well as personal care products, like shampoo; reduction of water spotting; cleaner, softer feeling clothes. Not recommended for water that contains traces of oil, or H2S. Calcium (Ca2+) and magnesium (Mg2+) ions that cause water hardness can be removed by using an ion exchange procedure. Water softeners are cation exchange devises. Cations refer to positively charged ions. Cation exchange involves the replacement of the hardness ion with a non-hardness ion. Salt-based water softeners use sodium (Na+) as the exchange ion. Sodium ions are supplied from dissolved sodium chloride salt, also called brine. In the ion exchange process, sodium ions are used to coat an exchange medium in the softener. The exchange medium can be natural "zeolites" or synthetic resin beads that resemble wet sand. As hard water passes through a softener, the calcium and magnesium trade places with sodium ions. Sodium ions are held loosely and are easily replaced by calcium and magnesium ions. During this process free sodium ions are released to the water. After softening a large quantity of hard water the exchange medium becomes coated with calcium and magnesium ions. When this occurs, the exchange medium must be recharged or regenerated. To recharge the softener with sodium ions, a softener is back flushed with a salt brine solution. During a back flush the brine solution replaces the calcium and magnesium ions on the exchange medium with sodium ions from the salt solution. The time between recharging cycles depends on the hardness of the water, the amount of water used, the size of the unit, and the capacity of the exchange media to remove hardness. Longer life of appliances including washing machines, dishwashers, and water heaters; less use of household cleaning products, such as detergents, as well as personal care products, like shampoo; reduction of water spotting; cleaner, softer feeling clothes. Softened water from a salt-based water softener is not recommended for drinking, watering houseplants, lawns and gardens due to its sodium content. There are many health risks associated with sodium intake. During the softening process sodium is released from the exchange media into the output water. For every grain of hardness removed from water, 8mg/1 (ppm) of sodium is added. People on restricted sodium intake diets should account for increased levels of sodium in softened water. Your family physician should be consulted. Sodium intake from softened water can be avoided by leaving one kitchen tap un-softened from drinking and cooking. 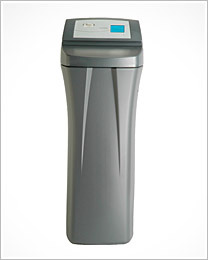 Water used in recharging a water softener may over load or reduce the effectiveness of small septic or sewer systems. 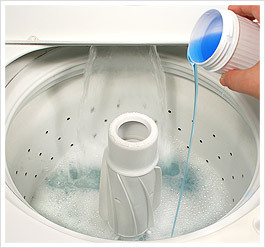 Softened water is not recommended for small appliances such as steam irons or evaporative coolers. There are additional cost and maintenance required. Salt-based softeners require that salt be added to the system on a regular basis based upon the hardness of the water. Cost of salt is approximately $5 to $7 per 40-pound bag depending on the form. The majority of these devices claim to work by causing the carbonate salts that would ordinarily form adherent scale deposits to precipitate as small particles within the water instead. This would also presumably reduce the concentration of the calcium and magnesium ions that react with soaps to form insoluble scum. 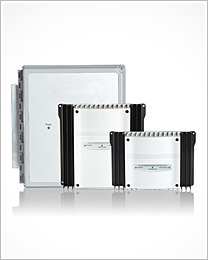 Electronic water softening claims to reduce the scale build up and the affects of hard water. The Electronic devices are very expensive compared to other methods of softening water. The degree of efficiency is constantly changing. The field exists only in the immediate vicinity of the device and therefore only affects behavior of water that has passed through the immediate vicinity of the device. The state of the water after it has been introduced to the field will only stay in that state for a period of 48 hours, which means if the water is not used for more than 48 hour it will revert back to hard water with the negative effects. The Tests conducted at Purdue University found "no significant, beneficial variation in the physical or chemical water quality parameters measured." Another disadvantage is that there is the possibility of experiencing interference from other high voltage cables in the surrounding area. The above methods of dealing with hard water are proven technologies if used in the right application. 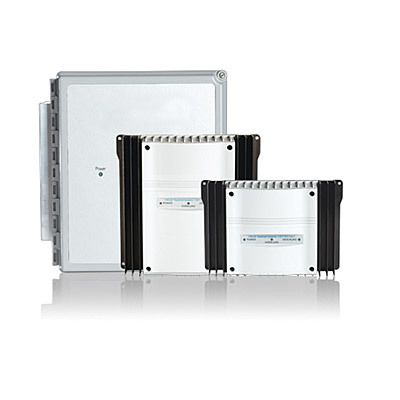 We recommend you consider on going maintenance cost as well as initial cost of each system. Please refer to the recommended usage section for a good starting point in your decision-making.